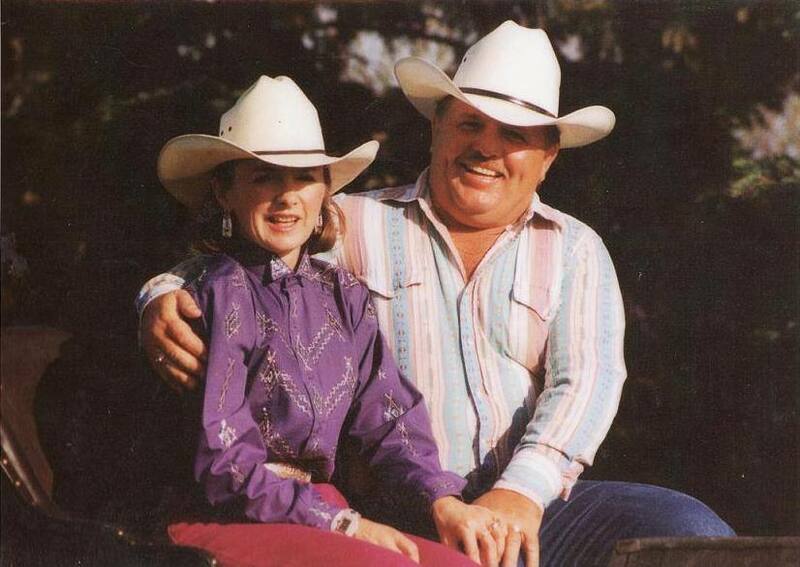 Our Ranch is located approximately 1 mile Northwest of Mortlach, Saskatchewan. 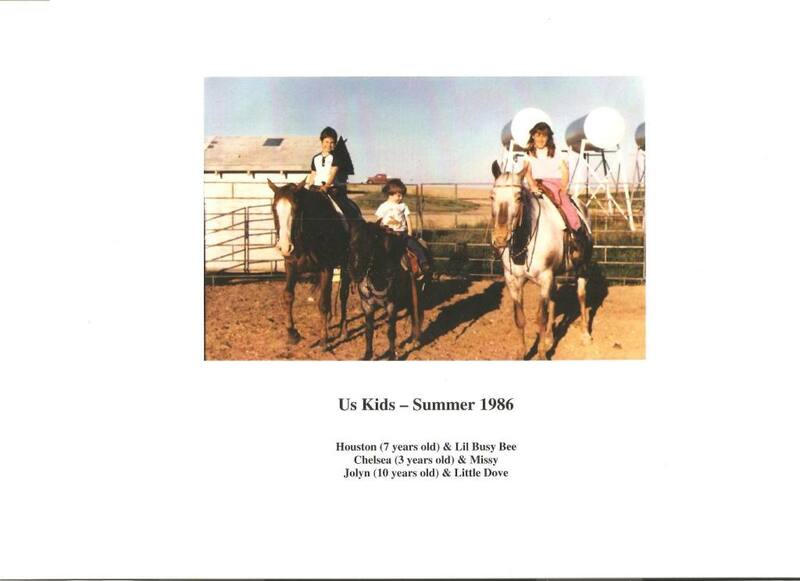 Ranching and horses has been in our family for many years. 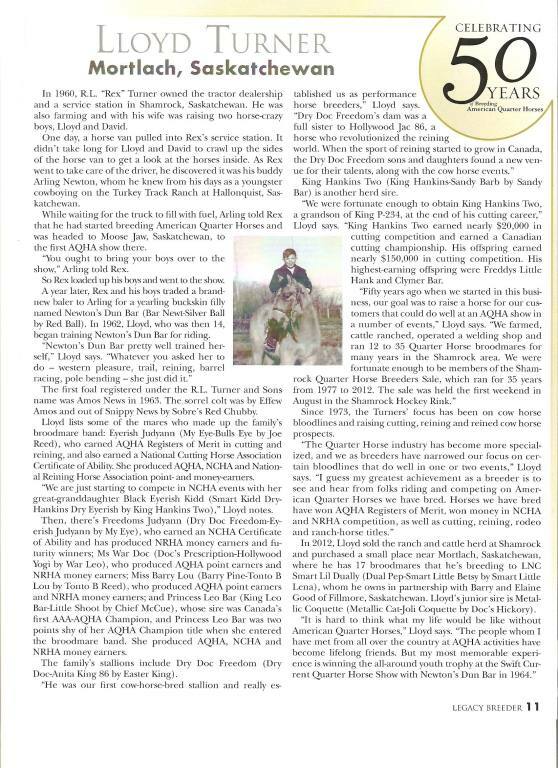 We were first introduced to the amazing Quarter Horse in the late fifties by our parents, Rex and Frances Turner (Lloyd) and Lefty and Dean Macdiarmid (Jan). 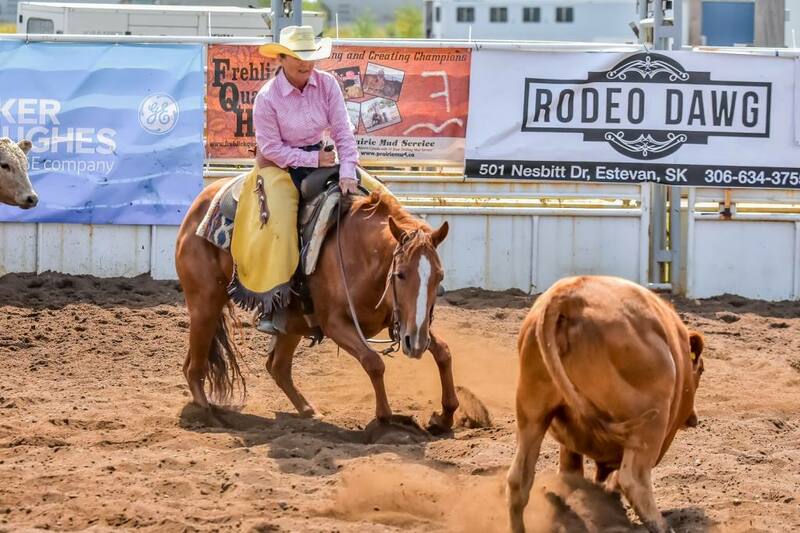 Our parents wanted a horse that could work on the ranch and still be competitive in the arena on weekends. 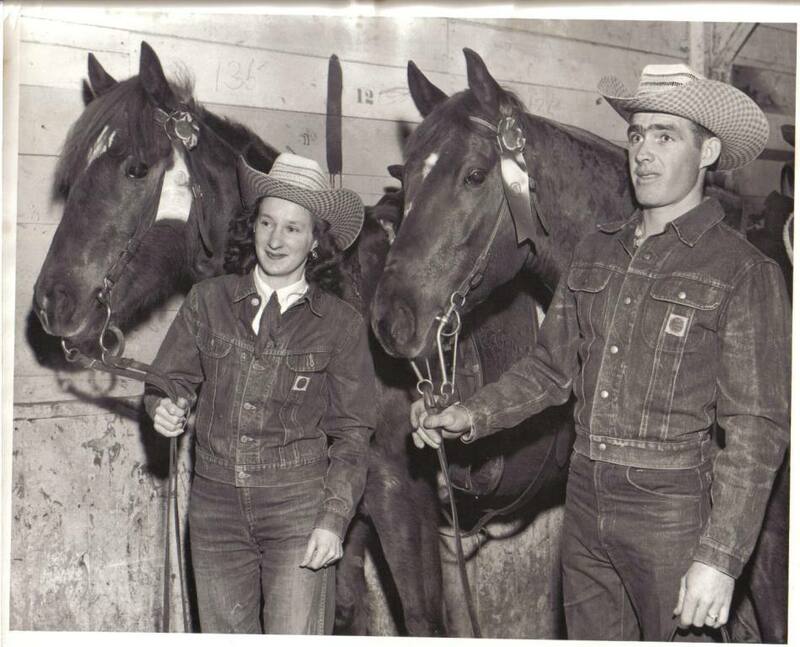 Dean & Lefty Macdiarmid with AQHA Stallion Juan Hamby (one of the first AQHA Stallions to be brought into the provice of Saskatchewan) and ranch mare -Snipper. 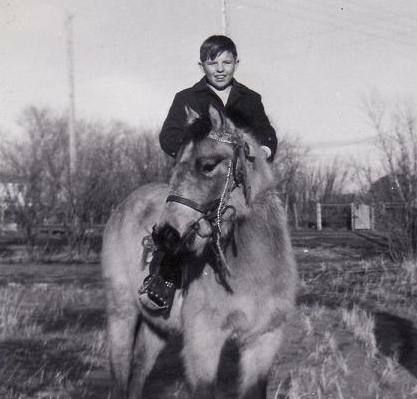 RL (Rex) Turner around 1935, as a young cowboy on the Turkey Track Ranch, Hallonquist, Saskatchewan. 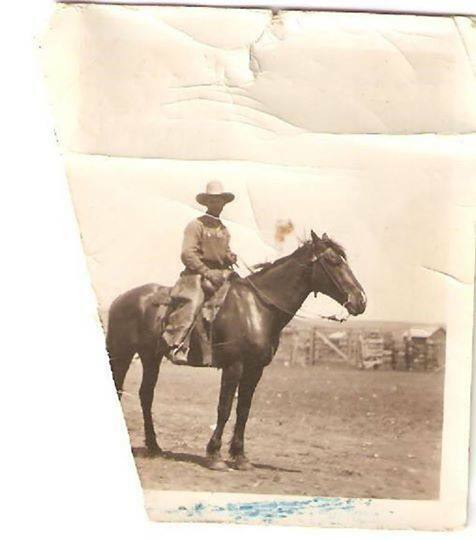 *Photo - Lloyd as a young boy riding an AQHA Buckskin mare Newton's Dun Bar or better known to the Turners as Missy. 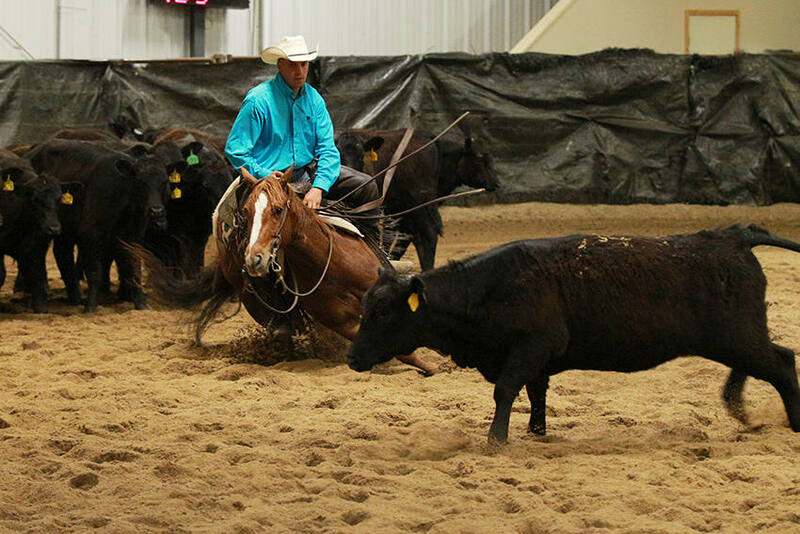 This was the first quarter horse purchased by the Turner family and the first horse Lloyd broke to ride. 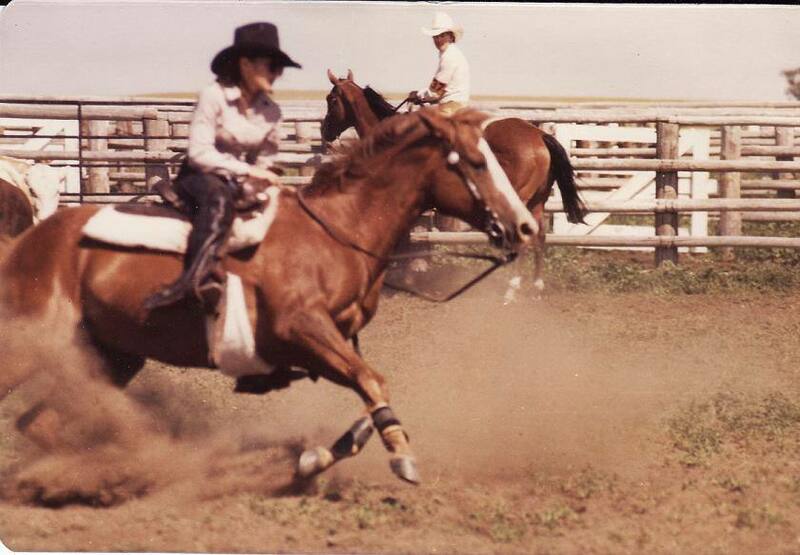 *Photo - Jan riding AQHA Sorrel Mare, Lil Busy Bee at a Shamrock Cutting Horse Show during the early 1980s. 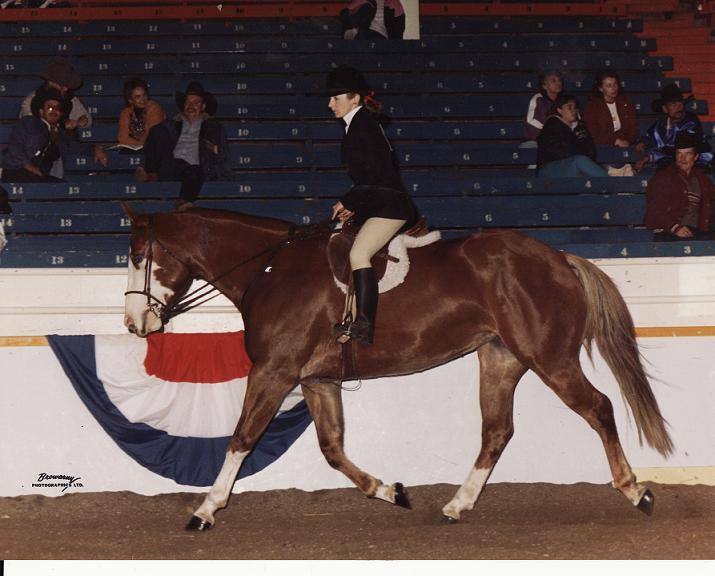 *Photo - Jan riding APHA mare Apaches Medicine in a hunter under saddle class at The Western Canadian Agribition, December 1990. In October 2014, Lloyd and Jan travelled to Amarillo, Texas with friends Barry and Elaine Good. 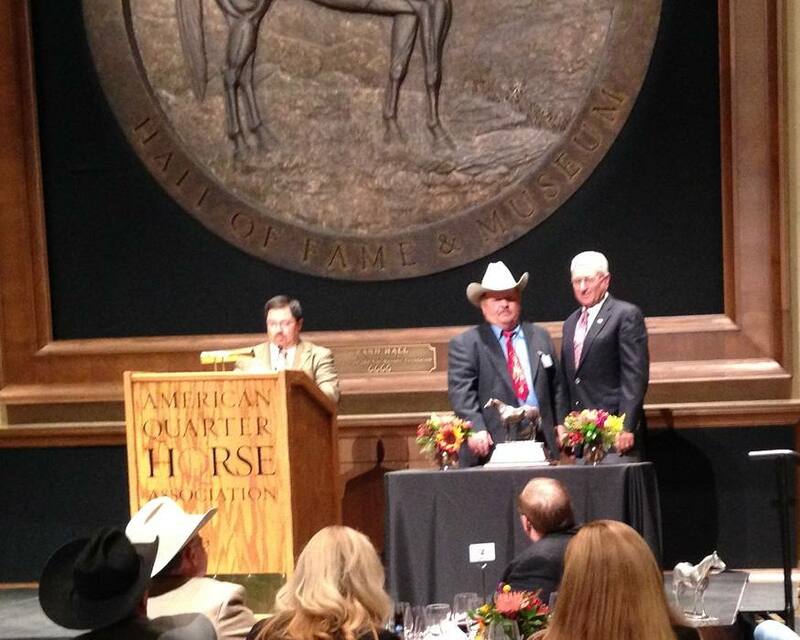 Lloyd was invited by the American Quarter Horse Association to recieve the 50 Year Breeder Legacy Award at an awards night in the AQHA Hall of Fame. 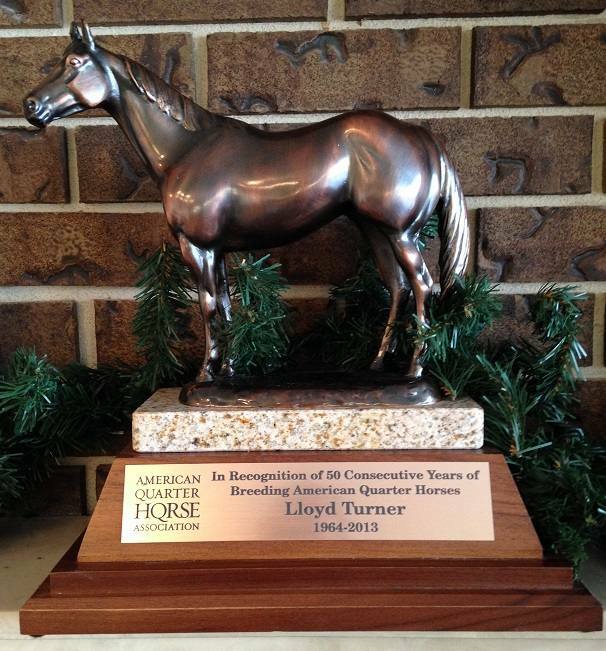 This award is given to a breeder of Quarter Horses who has registered a foal for 50 consecutive years. Lloyd wore his Dad's (R.L. 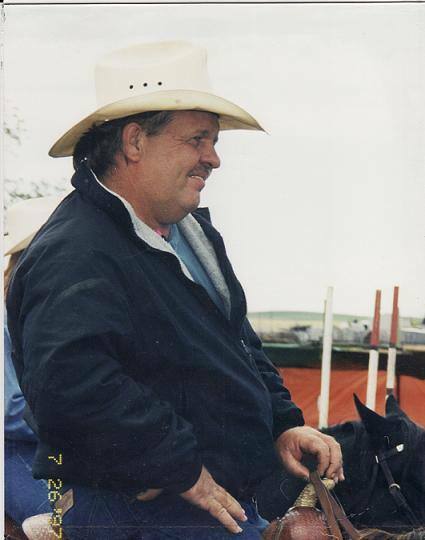 "Rex" Turner) old bucking horse tie for good luck! !